Leviton Versi-Duct® Slotted duct horizontal cable management system is mounted on a standard 19-Inch equipment rack for effective cabling. It is perfect for use with either fiber or copper cabling system. 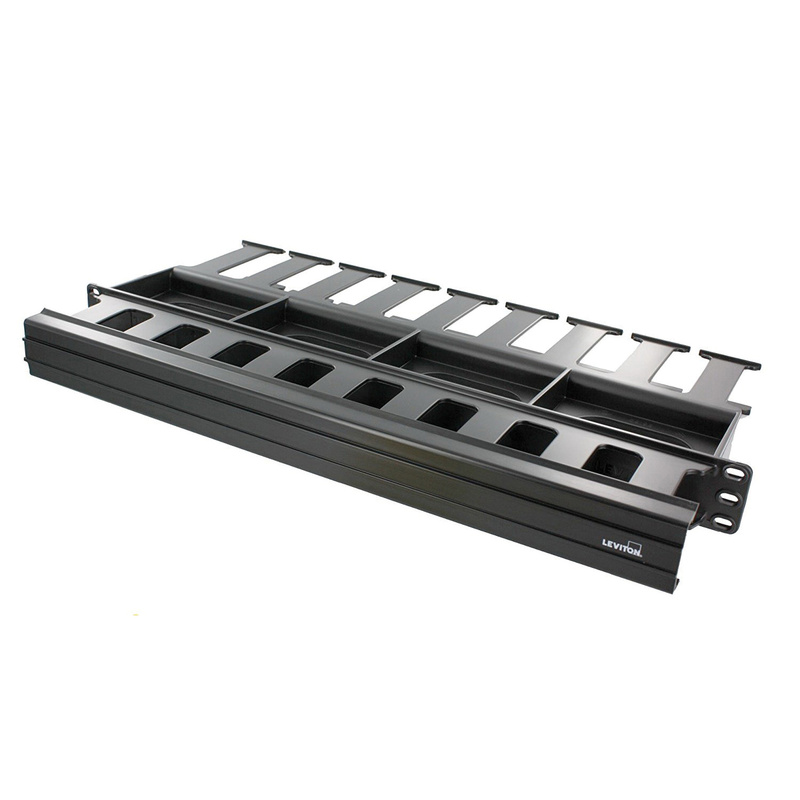 This system makes use of slotted ducts to route cable. It has a dimension of 19-Inch x 10-Inch x 1.88-Inch. Cable management system is cULus listed, ANSI certified and meets ISO standards.